Swami Vive Kananda, the much talked of Hindoo monk, spoke to a small but deeply interested audience last evening at the academy of music on "The Harmony of Religions". He was dressed in oriental costume and received an extremely cordial reception. Hon. Rowland Connor gracefully introduced the speaker, who devoted the first portion of his lecture to an explanation of the different religions of India and of the theory of transmigration of souls. The first invaders of India, the Aryans, did not try to exterminate the population of India as the Christians have done when they went into a new land, but the endeavour was made to elevate persons of brutish habits. The Hindoo is disgusted with those people of his own country who do not bathe and who eat dead animals. The Northern people of India have not tried to force their customs on the southerns, but the latter gradually adopted many ways of the former class. In southernmost portions of India there are a few persons who are Christians and who have been so for thousands [?] of years. The Spaniards came to Ceylon with Christianity. The Spaniards thought that their God commanded them to kill and murder and to tear down heathen temples. If there were not different religions no one religion would survive. The Christian needs his selfish religion. The Hindoo needs his own creed. Those which were founded on a book still stand. Why could not the Christian convert the Jew? Why could they not make the Persians Christians? Why not so with the Mohammedans? Why cannot any impression be made upon China or Japan? The Buddhists, the first missionary religion, have double the number of converts of any other religion and they did not use the sword. The Mohammedans used the most force, and they number the least of the three great missionary, religions. The Mohammedans have had their day. Every day you read of Christian nations acquiring land by bloodshed. What missionaries preach against this? Why should the most bloodthirsty nations exalt an alleged religion which is not the religion of Christ? The Jews and the Arabs were the fathers of Christianity, and how have they been persecuted by the Christians! The Christians have been weighed in the balance in India and found wanting. The speaker did not wish to be unkind, but he wanted to show Christians how they looked in other eyes. The Missionaries who preach the burning pit are regarded with horror. The Mohammedans rolled wave after wave over India, waving the sword, and today where are they? The farthest that all religions can see is the existence of a spiritual entity. So no religion can teach beyond this point. In every religion there is the essential truth and nonessential casket in which this jewel lies. The believing in the Jewish book or the Hindoo book is non-essential. Circumstances change, the receptacle is different; but the central truth remains. The essentials being the same, the educated people of every community retain the essentials. The shell of the oyster is not attractive, but the pearls are within. Before a small fraction of the world is converted Christianity will be divided into many creeds. That is the law of nature. Why take a single instrument from the great religious orchestras of the earth? Let the grand symphony go on. Be pure, urged the speaker, give up superstition and see the wonderful harmony of nature. Superstition gets the better of religion. All the religions are good since the essentials are the same. Each man should have the perfect exercise of his individuality but these individualities form a perfect whole. This marvellous condition is already in existence. Each creed has had something to add to the wonderful structure. The speaker sought throughout to vindicate the religions of his country and said that it had been proven that the entire system of the Roman Catholic Church had been taken from the books of Buddhism. 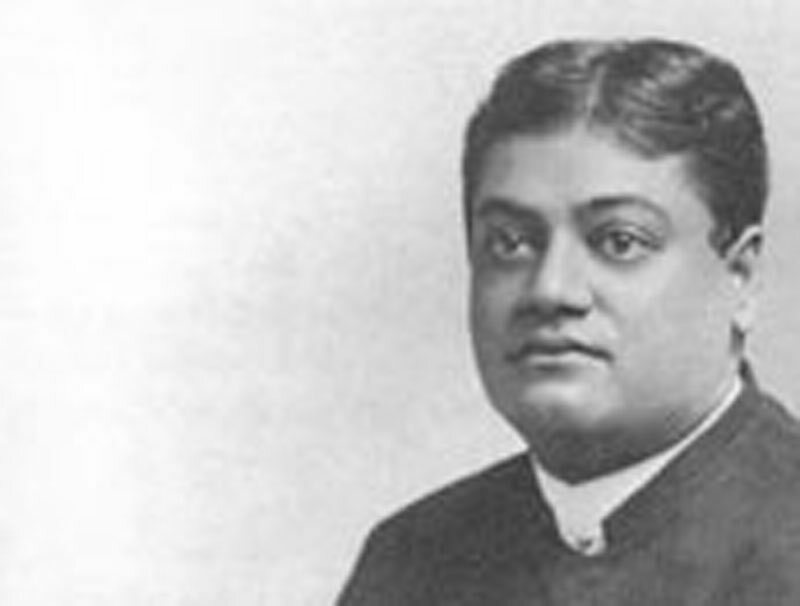 He dilated at some length on the high code of morality and purity of life that the ethics of Buddha taught but allowed that as far as the belief in the personality of God was concerned, agnosticism prevailed, the main thing being to follow out Buddha's precepts which were, "Be good, be moral, be perfect."